Looking west, along the tidal River Mersey, from one of the viewpoints along the St Helens Canal the crane and low level causeway in the foreground are the early stages of construction for the Mersey Gateway Bridge which will open in late 2017. 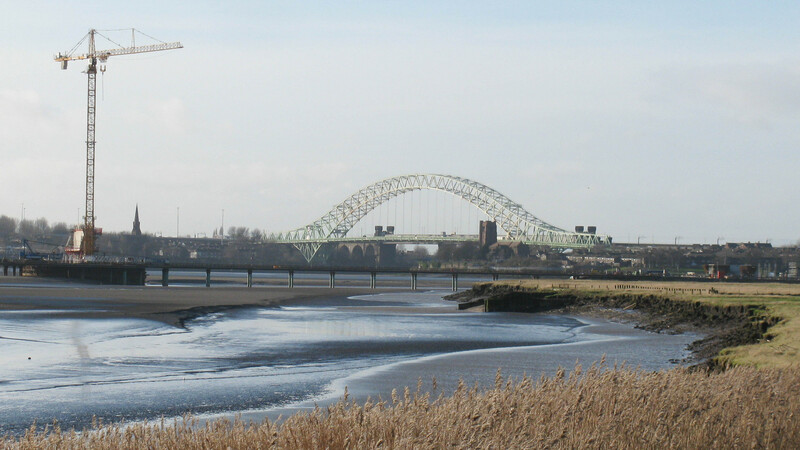 It will take the through traffic from the congested Runcorn Bridge with the arch seen in the background. The railway bridge runs parallel to the arched bridge, immediately beyond it.